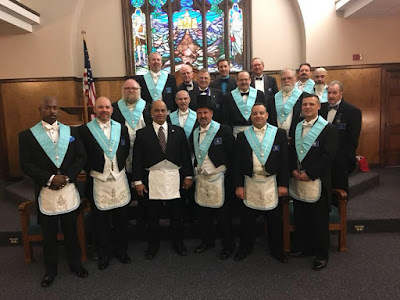 Ask any Freemason what his most memorable moments are in life and his answers will no doubt include: the birth of his children, the day he was married, and the day he was raised to the sublime degree of Master Mason. 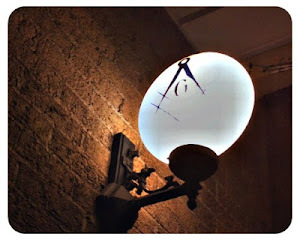 I thought about that question this past Sunday night when I settled into my sofa to watch a few episodes of "Inside the Freemasons", the United Grand Lodge of England's documentary on Netflix. Through the five episodes in Season 1, we follow the stories of interested, newly made, and veteran (I don't like calling them "old" or "seniors") Freemasons throughout England. There were a quite a few times during the show when I would hit the pause button to answer my girlfriend's, "is that REALLY what happens at Lodge" questions. ("Yes." And, "sometimes," were frequent answers.) Honestly, I was surprised HOW MUCH of their ritual they shared in this series. What also struck me as odd was that this was the first Sunday night I was home since mid-August where I could catch up on my every growing Netflix watchlist. On Thursday, September 27, 2018 I made my first Mason. In my jurisdiction (Upstate New York) it is traditionally the role of the Junior Warder to perform as Master during the Entered Apprentice degree. Since I was installed in May, I have been taking my little blue book (Standard Work and Lecture - our ritual book) to work, when traveling, reading before bed, and yes, even in the bathroom to rehearse my part. Matter of fact, the week before the degree, I had a business trip to Las Vegas. During the free moments after sessions, I would take my ritual book to the pool. While my girlfriend was suntanning or snap chatting with her sisters back home, I would quietly whisper my lines, trying to not only memorize the material but become so intimately familiar with the work that when it was my time to address the candidate, those words written centuries ago would passionately flow with a confident delivery. Personally, my favorite place to learn ritual is in the bathtub. I can close the door, turn on the fan, fill up the tub, and soak the ritual into my soul. I find that the fan also provides good cover as I practice the pacing and rhythm of my delivery. I've often wondered how other Brothers carve out the time to study. "Is this how Washington would have done it," is a question I ask every time I step in the tub. At my mother lodge, St. George's #6, we have a reputation for strong ritual work. Our goal is to perform degrees with our Brothers in all parts with the highest level of proficiency in each role. Our Senior Deacon plans our degree rehearsal schedule which includes two-hour practices Sunday evenings, beginning about a month before each degree. The payoff is exactly what happened on this September night. Our meeting began with a social hour followed by dinner. Degree nights are special, as they usually bring some of our veteran members to Lodge. After dinner, I hurried to my seat in the South to focus on a passage that needed a little more attention. It didn't matter, by the time I was called to the East, my mind was on auto-pilot. From the initial gavel to call the room to order, to the moment when the candidate entered the room, sitting in the Master's Chair for the time next to the Chaplain, I experienced the same feeling I had the first time my Dad pulled the car over and let me get behind the wheel. As a father of a teenager learning to drive now, I completely understand the level of trust you must have in this new, still learning driver. Except this time instead of hearing my Dad say, "watch your speed," I heard the calm, reassuring coaching from my Brother in the East. It seemed like less than a minute had past when it was my time to address the candidate at the alter and give him the obligation. How I had studied these words for the past five years! And no matter how many distractions I had practiced with, NOTHING could compare to the intense rush I felt the minutes the lights were dropped with each step I took towards the center of the Lodge, bringing the focus of the candidate and his conductor to my eye by candlelight. Brothers, on this night, the Conductor was our RW Michael Brockbank who has served as the ritual teacher for our Lodge since... well, I haven't met a Brother of our Lodge yet who didn't learn ritual from or with Bro. Brockbank. My memory flashed to all of the weeknights spent at his home office, sitting around the table with other new Masons from my degree class, learning the answers to the questions to pass to the next degree in Masonry. Kneeling at the alter was our candidate, Juan Caballero, who, has read more books on Freemasonry than any other candidate I have had the pleasure to meet. In the meetings leading up to his acceptance, Juan would bring old Masonic books he would buy online or at antique stores, and eagerly share his latest find. My goal was to deliver a degree experience that exceeded his expectations. It was my turn to perform the Obligation and that's when my mind went *blank*. Words came out of my mouth that my mind was unaware of. I quickly looked at Bro. Brockbank's face and realized that I made the mistake of starting on the wrong degree! I caught my breath, quickly refocused, and just like when I took my first corner a little too fast in my Dad's old Buick Skylark, I eased off the gas, loosened up my grip, and brought the car back under control. With my mind back in my control, I finished the obligation and continued through the beautiful "making" of a new Brother. When I got back to the East, I turned to the Chaplin and said, "I can't believe after all of these years, after this much practice, this moment is over." It goes by so fast. For the candidate, it probably doesn't feel like that... I remember going through my first degree, my mind racing with so many questions: the room looked different, what were the words I just said, what does ALL of THIS mean? Trust me, I averaged at least five questions when we gathered at Michael's for ritual practice. In a hour and a half, I was back in my seat in the South, the meeting was closed, we gathered for photos in the East. [insert image: Degree Night] Afterwards I caught up with Bro. Brockbank downstairs. I always enjoy talking with my veteran Brothers. If you listen, you will learn something new from them every time. This night I shared how, as Master, during the degree, there were times that I felt much like the candidate across the alter from me. Confused. Uncertain. Excited. Bro. Brockbank smiled and commented on the completion of the circle. "You were made, passed, and raised. Now that cycle continues and moves forward." How true! While I didn't come home with a new Bible or white apron that night, I did leave Lodge with the knowledge and shared experience that traces back to the beginning of our ancient fraternity. I made a new Brother.